Federal Prisons Bureau Investigates Pharma Douche For Secretly Running Business With Contraband Phone - Joe.My.God. The U.S. Bureau of Prisons opened an investigation into pharmaceutical wunderkind Martin Shkreli’s behavior behind bars, a bureau spokesperson said Friday. The Wall Street Journal reported Thursday that Mr. Shkreli, 35 years old, is largely running his former drug company, Phoenixus AG, from his prison cell in Fort Dix, N.J., via a contraband smartphone. 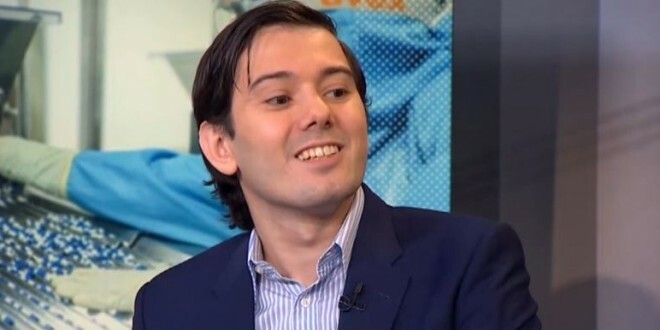 Mr. Shkreli is 16 months into a seven-year sentence for securities fraud. Wielding little more than a contraband smartphone, the disgraced pharmaceutical executive remains the shadow power at Phoenixus AG, the drug company that became a national lightning rod for jacking up the prices of rare drugs under its former name, Turing Pharmaceuticals AG. Mr. Shkreli still helps call the shots. A few weeks ago he rang up his handpicked chief executive during a safari vacation—to fire him, according to a person familiar with the exchange. Shkreli is serving a seven-year sentence. In 2017 he was first jailed for offering a $5000 reward to anyone who ripped out a chunk of Hillary Clinton’s hair.